Amounts staff members have billed and collected for their services within a specified date range. The Staff Billing report pulls data based on the Service Date or Invoice Date and Payment Date. 1. Go to Reports > Billing reports category > Staff Billing. 2. 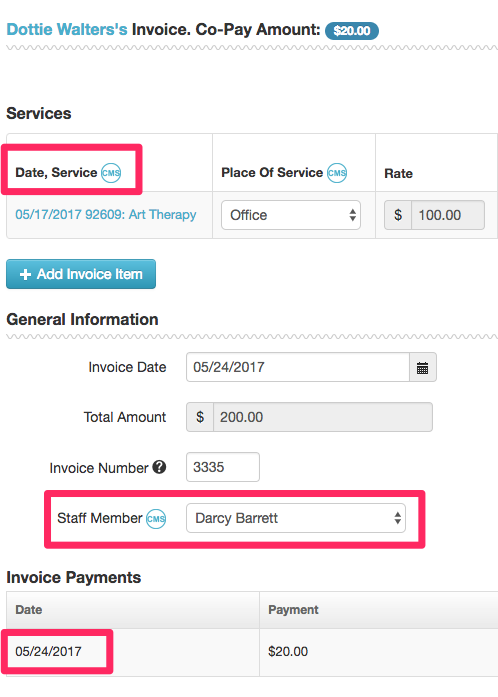 Set the Date Range, Staff, Location and Invoice Status (to only show fully paid invoices, if preferred). Click Run Report. Deactivated staff members and archived clients are included on this report.